We're nearing the end of the third week in October and the majority of vineyards throughout the Willamette Valley remain largely unpicked-- which means that the mood among winemakers is about as bipolar as the autumn weather. In the past several weeks that have seemed to bring nothing but gray clouds overhead, murmurs of a troubled harvest swelled like rain-soaked Pinot grapes and talk of doomsday again surfaced, with Internet-posted proclamations of 2011 being the "worst vintage since 1984," an infamous washout of a vintage of relentless rain that even an extra helping of C&H couldn't salvage. 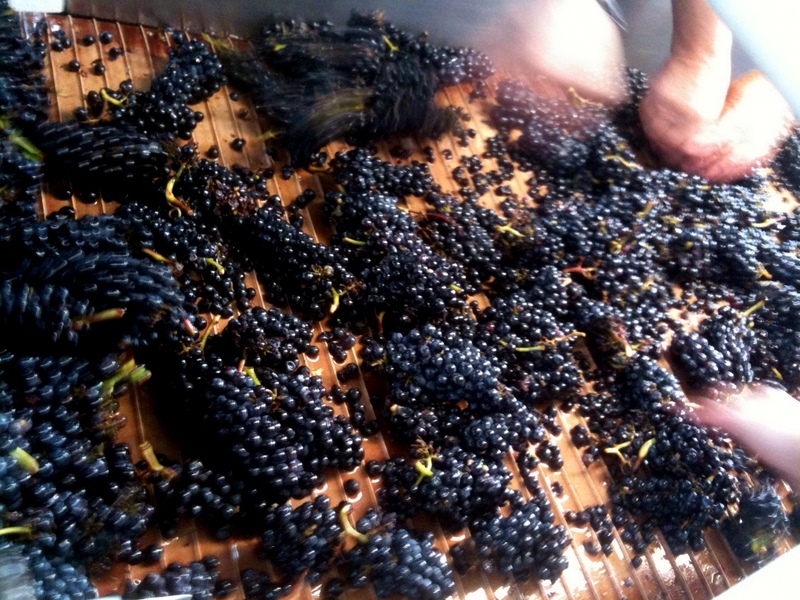 If there is any consistency in a given Oregon harvest, it may be that air of pessimism. The same cries of a doomed harvest have echoed through many vintages past, and you'd think the industry would translate the technical and artistic skill of winemaking to the PR side of their business. Consumers are going to take a winemaker on his or her word, and if the word is that the year was bad, turning a buck on that bottle when it's up for sale is going to be a far bigger challenge than anything a rainy October could bring. 2007 was a prime example of how some grumblings of a difficult growing season became a full-on critical attack in the media. The bad news brought even more bad news as those bottles languished on store shelves as wine drinkers opted to pass on what threatened to be at best inconsistent, and at worst, undrinkable watery plonk. The good news is that if you were smart enough to ignore the negative press, you're now rewarded with Pinots that are elegant and complex; evocative of that delicate balance on the edge of ripeness that defines the beauty of this varietal grown in a cool climate. Wines that at two or three years in the bottle are just beginning to show their full potential. This stuff, this is why we're all here. Just as of last year, we not only had doom clouds at harvest, but also giant swarms of hungry birds straight out of that one movie by that one guy (the names of which both escape me). Once again, winemakers reactions were between guardedly optimistic and near-completely despondent. Local newspapers were on a weekly cycle of reporting the latest horrific updates of voracious starlings gobbling up already low Pinot yields. In an interesting twist of fate, quite recently as a few of these new wines are on their way to release, the media attitude towards the 2010s are quite a contrast to the 2007 reviews. In fact, this may be the only time ever that my opinion of an Oregon vintage would intersect that of Harvey Steinman, Editor at Large at Wine Spectator. He recently published a little love note to the 2010 year on his blog, along with teasers to paid-access notes and musings that this may be (as 2008 & 1998 have been) dubbed a "miracle vintage." What a difference a year makes on one's perspective, huh? I hate (seriously, hate) to say it, but Harvey is definitely on to something. 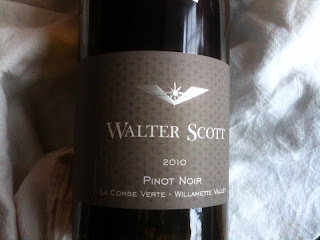 After a hard day on the sorting line ensuring that only the best of this year's Pinot tumbles into a fermenter, I needed a little inspiration in the form of a glass of 2010 Walter Scott La Combe Vert Pinot Noir. Proof that with a little faith in yourself, your fruit, and your vineyard, it can translate into something beautiful. Walter Scott Wines is the wine-lovechild of two well-recognized contributors to the Oregon industry, Erica Landon and Ken Pahlow. Erica is one of Portland's most beloved sommeliers and Ken is a veteran sales guy who's day job is selling for some little project called Evening Land Vineyards (that just so happened to produce Oregon's highest scoring wine at 96 points in 2008). Obviously they know more than a little about Pinot and have a serious passion for it that shows in their entry-level cuvée "La Combe Vert," a mix of fruit from five venerable sites throughout the Willamette. It's a stunning bright garnet color, transparent and almost glowing in the sunlight. The aroma captures the scents of the first half of the 2010 growing season: rich damp soil, mushroom funk, dewy tea roses, and the faintest whiff of smoke. The taste is all about the second half of the season: fresh raspberries and plums, more earth, decaying fall leaves, wet rock and warm spice. 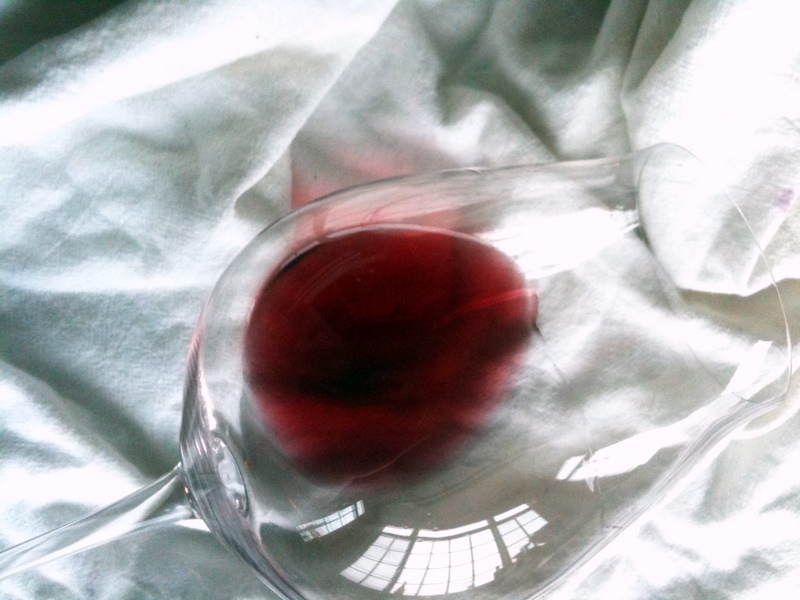 The mouthfeel is practically vibrating with acidity, but has depth of soft tannin under that zingy top note. At this point, it would easily stand up to a few days of unwinding in an open bottle, and at $20 in the store, I can definitely stand to stock up on more. Just like with the 2007s, this indicates that the better 2010 wines will only continue to improve with age.